Competetively priced. Free 4 week trial. Signup now. Free 4 week trial. 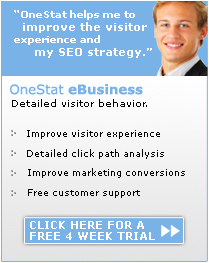 Experience our web analytics services. No credit card details needed. 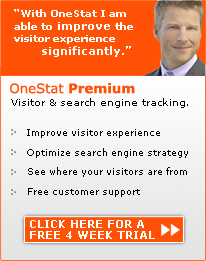 Different web analytics versions for every need and budget. Signup for a free 4 week trial. Onestat’s market leadership has been demonstrated over the past 6 years as we have helped today’s most innovative online businesses and websites like HP, FuijFilm, Thomas Cook, Cornell University, MIT, Dunlop, TUI, CBS, Fonts.com, Trump, Pandora.com and the Emmy Awards. 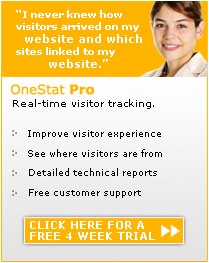 OneStat has more than 75,000 customers across 100 countries. 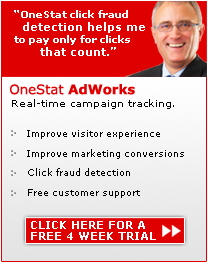 Also you as an online marketer or webmaster can benefit from our real-time and independent web analytics services! Signup for a free 4 week trial, no credit card details required.